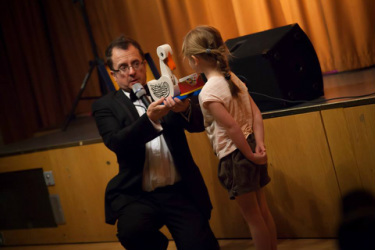 "When you need a Kid's Magician to make your Party Magical"
Chris P Tee is the full time, Professional and Funny Kid's Magician, member of the Magic Circle & independent children's entertainer in Bristol. He lives in Chipping Sodbury, at the Cotswolds edge and not far from the M4 and M5 Motorways. Bringing Happiness and Joy to Children on their Special Day. Just give him call, you'll be glad you did. Chris P Tee is the expert at entertaining a room full of Children, so You don't have to! "A Professional Magic Show with a Mini Disco = Magic Mini Disco"
​Chris P Tee is the Children's Birthday Party Expert and Specialist. The Magic Hour Comedy act is Unique and Exclusive, thanks to Years Entertaining, Since the Age of 5. When you hire Chris P Tee, You Get Years of Professional Experience. I perform All Over the Region and You Will NOT See me at the Same Parties Over and Over like some do. I am often away from an area several months at a time, if not longer. 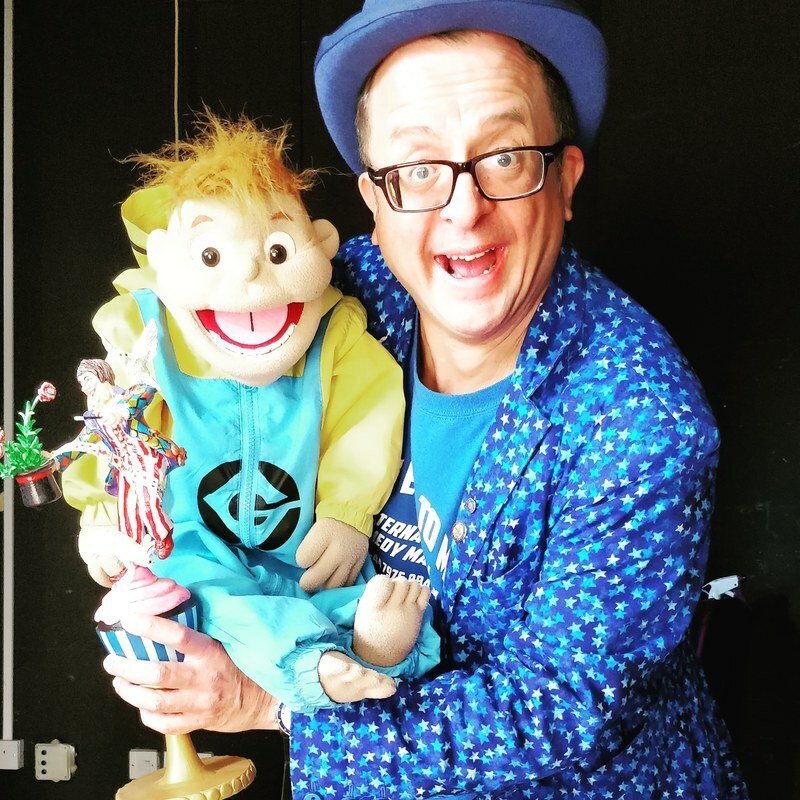 I also perform my Comedy Magic for Pre Schools, Primary Schools, Prep Schools, Toddler Groups, KS1 and KS2 Kids, After School Clubs, Judo Clubs, Rainbows, Brownies, Cubs, End of Term Parties, Fates, Fairs, Street Parties, Festivals, Weddings, Christenings...You Name it. Full time, professional, children's entertainer. Hello, I'm Christian P Taylor, also known as Chris P Tee (Chrisptee). I am a Full Time Entertainer who is a Member of Equity, the Bristol Society of Magic, the International Brotherhood of Magicians and the World Famous Magic Circle. I am also a Gold member of the Federation of Small Business's. I have two beautiful daughters and I am Happily Married to my Wife Jane who is a Saint for putting up with me. I think I'm funny at home, they would argue I am not! Thank goodness they Love me, or they would have had me disappear by now. Magically of course. Magic and Comedy is in my Blood, I have always performed and love every second of it. 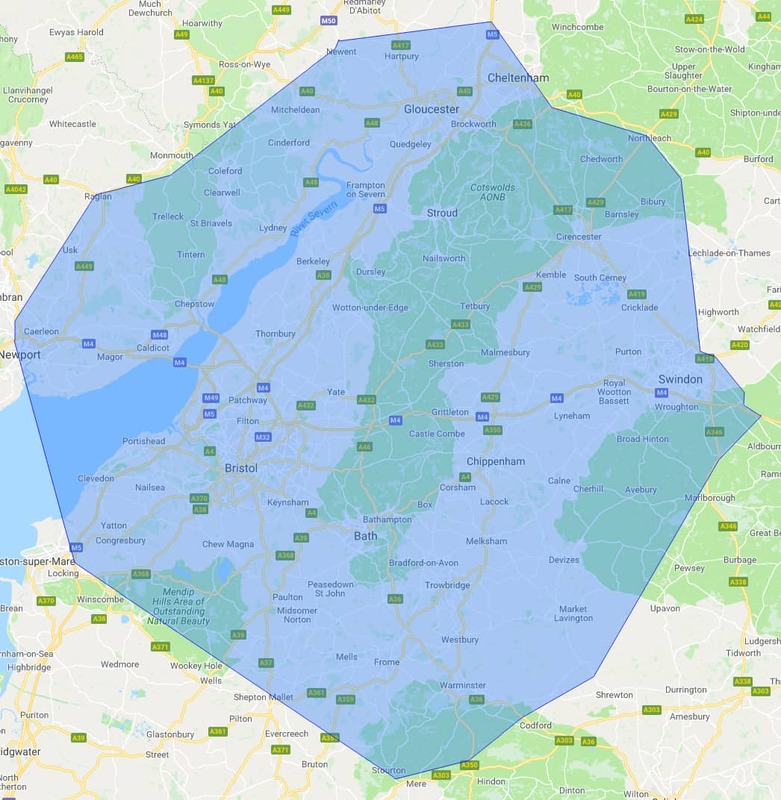 People Often Ask "Do You Cover My Area"
You can find me anywhere in the Blue During Weekends. Yes, I do travel that far from one party to the next. Hence the Two Hour Gap between parties for Travelling Time. I Perform One Party in the Morning, 11am Start and One in the Afternoon at 3pm. Give or Take 30 minutes. This Map is to give you an idea but it's not set in stone. If I get a Morning Booking at the edge of the Map, Clevedon for example (bottom left) and then a booking comes in for the Afternoon in Weston Super Mare, No Problem. However, if the next booking is in Swindon, I may have to adjust travelling time, making the second party start later so I can get there. Weekdays I can travel a Lot further as I only Perform One Show Midweek. So I often Travel to London for After School Parties. 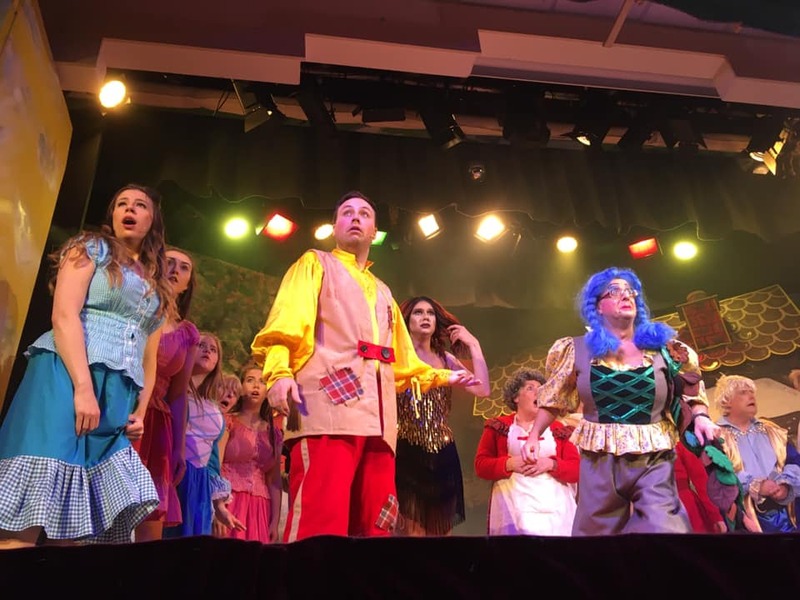 During January 2019 I starred in the Pantomime "Jack and the Beanstalk" as "Dame Mary Trotters" alongside a wonderful and talented cast. This is me in the Blue Wig. Don't worry, I don't look like that now!! Chris P Tee (Chris Doc Strange) Also Performs in India. How Long Have I Been Entertaining Children? Quick Answer "Over 35 years"
I've been on stage since the age of 5. I started performing for other Kids at school, doing magic and making them laugh in the playground, becoming a mobile DJ in my early teens doing 60's and 70's nights, kid's parties and school leavers parties. I've been an entertainer all my life, travelling the World as the Comedy Stage Hypnotist Chris Doc Strange since 1989! I met my wife in 2000 and we had two beautiful daughters, so I stayed at Home to be with them and not miss a thing. From 2003-2011 I was a very happy House Husband (Shocker! ), bringing up and entertaining my Children, running my own business from home and performing on occasion at night with my Grown up show. I Gave Up My Travels and My Career to be with my Children 24/7, Because I Wanted to. I Relied on my Wife Earning While I Stayed at Home, With my Babies. Because I Wanted to. Then I Had the Chance, 9 years later to Start Entertaining Again, I Was Nervous, Rusty and Seriously Lacked Confidence. I Wanted to Go out there and Make People Laugh, but the Thought of Traveling around the Country again fill me with dread. I want to be close to Home, with my Girls. I Wanted to Share what I have learned being with my kids all this time. The sense of Wonder and the Crazy ideas. From the silly games we would play together to the programs on the telly we would watch together. I used to Love "The Shiny Show" and "The Fimbles" and "Fifi and the Flower Tots". My comedy is as much for parents as it is for Kids. I joke about things that happen to us as parents and the things kids do and say. 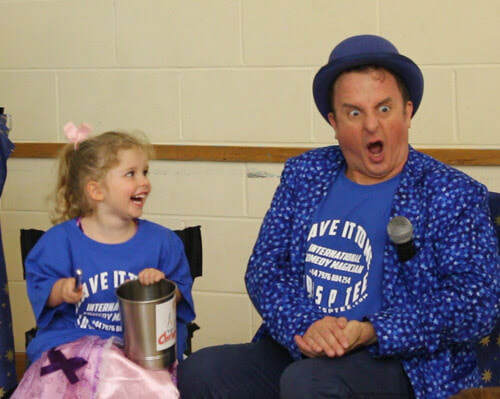 "I've been given an opportunity to entertain live again, when live entertainment is on life support"
I Thank Children Every Day for Having Open Minds and the Willingness to Learn something new and to have a Laugh with that Funny Magic Man, Chris P Tee. Do You Find Other Kids Birthday Parties BORING? "Well, it's for the Kids. It's not supposed to be fun for the adults"
NO, it's Not Just for the Kids. And it doesn't have to be Boring for Adults. I get Everyone Involved, Parents too and they Love it. Have You, Like Me, been to Many, Many Birthday Parties since having your Children? I have lost count how many parties I went to with my girls. I enjoyed a lot of the parties, especially those with experienced kids performers. When you get so see some many great Children's Entertainers entertaining kids at these parties, I started to think "I can do that"
After all, I've been making my girls laugh and their friends think I'm totally potty, I thought "I'd love to do this myself"
That's what I did and I have never looked back. I get such an amazing buzz from entertaining everyone at the party. It's a family show that kids love and adults are usually surprised that they enjoy it too. I just wish I had been able to perform Comedy Magic for Kids sooner, I love it. There are so many Birthday parties every weekend, you just don't know which ones to go to. Swim Parties, Softplay, Horse Riding (this is a new one on me), Laser Quest, Skating, Hiring a Hall, Build a Bear Parties, The Movies and they are ALL Expensive. Our Children have a Busier Social Life than We Do! Mums and Dads like to give their Children the best parties. It doesn't have to be a Competition, who can have the best party! If you want to hire a local Village hall, that's great, I can perform there for you. My Disco is big enough. But what if your budget won't allow room hire? No Problem. What if you would rather spend the money on Presents? My Idea of a Magic Mini Disco is that you can have a great Party in Your Own Home. Many of my new friends simply make room in their lounge or garden and I can give you a great show there. I have Music, Lights and Most of All, Comedy Magic. Everything fits in my VW T5 Transporter, so I can work ANYWHERE! Including on the Beach with my Tailgate up with Music and Lights going! Leave it to ME. CHRIS P TEE. 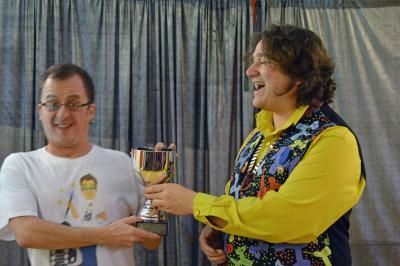 Christian P Taylor (Chrisptee) on left is proud to be the 1st Magician to receive the Hickory Cup from Bristol Society of Magic President 2012/13, Dave Hickory. What is a Chris P Tee Magic Mini Disco? The Chris P Tee Magic Mini Disco is just what it says on the Tin. Chris P Tee is short for Christian P Taylor and The "Magic Mini Disco" is a Bose L1 Compact, Mini Disco Set up that Sounds Amazing . Magic Mini Disco was started by myself, Christian P Taylor , a Chipping Sodbury father of two girls, after spending many weekends with my Daughters at their friends Birthday Parties. It was their idea that instead of only entertaining adults, I should perform for Kids Too. I gave it a try and I quickly found that I get more joy and self fulfillment from entertaining a group of Children, during the daylight hours, than traveling through the night to perform to Drunken Adults. My daughters are always giving me advice and all their friends say I'm funny. I'm just happy to make them laugh and see them as the little adults they are. I've been entertaining since the age of 5, been a magician since 7 and professional since 15 yrs of age. I'm now much older than I look, and thanks to being a full time entertainer, I don't feel a day over 18. Entertainment has taken me all over the World, performing on Ships, in Resorts, in Private Mansions, Post Hotels, Crummy Hotels and all kinds of wonderful venues. My first Cruise ship was the Odysseus, which was very small compared to today's standards. Now it's more like a Luxury Yacht. Have a look at this page full of information about the Odysseus and me, Chris Taylor. Chris P Tee such great reviews. Do You Have Different Packages Available? Yes. You can hire me for the Time Slot and how you use me in that time is up to you. Either a Comedy Magic Show with or without my Puppet Cheeky Chops, You can have the Magic Mini Disco, with or without lighting. You choose. You Do An Amazing Comedy Magic Show, But Can You Do More or Less? Yes, Whatever You're Requirements. I am here to Help you make your Child's Birthday Party AMAZING! My 90 minute stress free party is a revolution in kids parties and will save you time, energy and money. There are other options from Magic show to the amazing 2 hour party, that is also available for weddings, christenings and 1st birthday parties. JUST ASK! What is Your Favorite Age Group? I love entertaining kids of all ages and anyone who wants to watch and join in, including parents and grandparents. Do You Entertain Older Kids? Yes, up to the age of 9 years usually. After that age they usually want something other than a Birthday Party as the are a lot more sophisticated and want to see real magic. That's no problem, but I wouldn't come dressed as Chris P Tee, I would give them a more grown up type of show. But hey, if they want Chris P Tee there, I'll be there! Especially if they want a more grown up magic show. What ever gets them Dancing. As you know, your kids love all kinds of music and I am sure you are surprised when you hear them singing along to a new song on the radio you think "How do they know the words?" Kids are great a picking up new songs and I like to give them a mixture of new and old. Stuff you might have danced to when you were a kid and stuff you've never heard of! I tend to stay away from the Childish songs that you hear at the Pre School or Toddler Group because, lets face it, you're sick of hearing it too! And kids love the new stuff. Depending on the Age of my Audience, I either perform Real Magic, Comedy Magic or Silly Magic as suitable at the time. I don't use huge props, everything I use can usually fit in my magic case. Wandering Magicians are fond of the saying "Packs Small, Plays BIG!" My Wonderful PA System is my pride and joy, it's a Bose L1 Compact and fills any sized room with quality sounds, without being too loud. You get what you pay for you know. NEVER BOOK A VENUE BEFORE BOOKING YOUR ENTERTAINMENT! No, but I do clown about. I'm a performer who loves entertaining. When I perform for Children, I treat them as the little adults they are. I don't patronise them and I perform real magic as well as the silly stuff. What Age's Do You Perform for? Although my show is a family show, entertaining for 3 years to 7 years can be magical (While they Believe in Father Christmas and Magic!). I like the magic to happen in their own hands, so whatever the age, they become the magicians. Good magic is appreciated by all ages and when I work I like to make sure everyone (including the Mums and Dads) get to see something Amazing happen before their own eyes. Do You Make Balloon Animals? Is Your Magic Real Magic? Yes, absolutely. Thanks to my Magician's Apprentice, every single trick is Magic. Do You Play Party Games? No. That is something you can do yourself, when you can't find a decent entertainer to entertain the children professionally. I Have Seen Someone Else Much Cheaper, Can You Match Their Fee? People who have seen me perform and enjoyed my show, Never ask that question. "I'm not the most expensive, by any stretch of the imagination and I am not the cheapest either. I am however, worth at least double what you'll pay me. Certainly the best in my price bracket"
Can You Do Longer Than I Have Paid You to Do? If I am not booked to be anywhere else, I will be in no rush to leave, However... It's Always best to Book for the Time required, Never expect me to go on longer as I have other parties to get to and I can't let anyone down. If you need a Two Hour Party, then book a Two Hour Party. You want the Children to Arrive and See me there, all set up, music playing. When they leave, I am there, waving bye bye. I do sometimes get folk who have hired me for an hour and then still have a couple of hours left with a bunch of kids and no idea what to do. We call these people "Bonkers"
Are You in the Magic Circle? Yes, I am a proud, Full Member of the World famous Magic Circle. Do You Do Comedy Magic for Adults? Yes! As much as I love making children laugh with my magic, I also like to astound the parents too. Please give me a call if you are having a Dinner party, Weddings, Special Functions, Trade Show or Corporate Event. Call me for a friendly chat and see if and how I can help you. Will You Entertain at My Wedding? Yes, I would Love to. I can Entertain the Children while you are all doing your speeches and during the reception I can mingle with your guests and perform close up sleight of hand and mentalism, even a Comedy Magic show in the evening too. Or you could hire me as your Master of Ceremonies to help make the day go smoothly, I very good at organising people. Wedding Entertainment for Children is very popular and I find myself making all the adults laugh too. The Bride and Groom are always very grateful of my work and years of experience. ​Yes. NOT as the funny, Kid's Magician, Chris P Tee. SORRY, I'm Not hypnotising your kids to behave. I do the hypnosis as Chris Doc Strange the Comedy Hypnotist Bloke in a White Coat. ​It's a family friendly show that is suitable for Adults only or with Children. Most of the videos you will find online are Kid Free, hence the grown up language. It is mainly family shows now and usually weddings. I have Stage Hypnotist Insurance too. Do You Have or Even Need a DBS (Formally CRB) Check? NO! Children's Entertainers are exempt from the DBS as there are ALWAYS Other Adults, Parents, Teachers with us at all times and it's usually a One Off Gig. Children's Entertainers are NOT BABYSITTERS, nor are we Carers. We enter a Room, Venue, School to ENTERTAIN. We cannot Do Our Job if all the other Adults Clear off and leave us alone with a load of children. UNFORTUNATELY, there are some "Entertainers" who happen to have the DBS because they paid £25 online for a BASIC DBS. They are Not being Honest with you. A Basic DBS is for Each Venue/Event. Just becasue they have one from one place, does not mean it's valid for yours. It isn't. They tell the world they have it as a selling point, when they don't need it as a Children's Entertainer. A DBS is out of date the moment it's bought and is a failed system. Use your common sense, Never leave your children unattended with a Stranger! !